Can manufacturers learn from the success of others, or do they always think they can do bigger and better? Apple innovated a beautifully simple end to end business model with a single piece of hardware running objective C apps. The genius of the iPhone app store is in its simplicity, 1 phone, 1 screen size, 1 feature set, 1 integrated way of purchasing and it was preinstalled on all devices from early on. 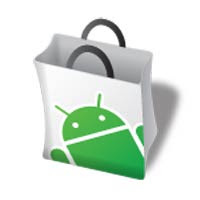 The second store to open up was the Android Market, it's based on the Apple model and is initially successful. It remains to be seen if this initially simple concept can stand up to the oncoming added complexity of new Android devices being launched with different hardware specs. Certainly Android developers will need to better consider screen resolution and whether a device has a 3D chip, a hardware keyboard, touchscreen or a trackball. It is all starting to get a little more complicated. Then Blackberry joined the game. The Blackberry AppWorld is a trickier proposition for developers. There are 4 main different screen resolutions to worry about and the Storm of course is touchscreen while the other devices aren't, some have GPS some don't. Nokia is now almost ready to go live with its offering. Looking at the Ovi store, it is a whole new level of complexity for the poor developer. For a start the uploads can be: Flash, Themes, Ringtones, WRT Widgets, Java apps or Symbian apps. Each of which work on some phones but not on others and for each type there are multiple screen resolutions, operating system varients, feature sets and signing requirements. On top of all of that the Ovi store isn't preinstalled on any devices yet, although the N97 is very likely to be the first. From simple to complex in 4 steps. I hope no one else has an even more complicated model up their sleeves. What if Nokia had gone for an N97 only app store, pre-installed on all N97's from launch? A simple proposition that is easy to understand. Build up the base and then expand into a thriving environment on other devices. It remains to be seen if the Ovi store will attract the fanactical user base required to breathe life into it and motivate developers to get coding. Personally I think it will grow slowly and survive only due to being presintalled on a lot of high volume devices over the coming year, we shall see. I hope device compatibility issues are one of the main reasons for Nokia taking so much longer to launch Ovi; in which case most bases should have been covered. Whilst Ovi shouldn't introduce any new compatibility issues, it must support the individual requirements of each app. If an app developer want to support multiple screen sizes then it's really up to them to ensure their interface can adapt. This becomes less of an issue with time since most new handsets have sufficient resolution for most interfaces. Will people who buy dinky phones really care as much about apps? Nokia will remain a massive mobile force. Perhaps Ovi will convince mobile developers who have recently been focusing on the iPhone to port these apps for the Symbian faithful! That's exactly what the panelists from the preso about the iPhone as new game platform at SXSW told to one of the Nokia guys who asked what they should do to help developers. I dont think its got anything to do with platforms, ultimately if developers can make money from apple or symbian thats where they will go. What is more interesting about apple's app store is the type of content that consumers want; largely fun and throw away in nature. You also forgot the 2nd biggest player, the operators of the mobile networks. Everyone except Apple is already in relationships with all of the carriers. These issues have wreaked havoc upon millions of individuals lives throughout the years. This is the driving force behind why many people are talking to their doctors about Benzodiazepines such as Xanax to help get relief for their anxiety. My friend doesn't have an email address. I used to send photos to their cell phone from mine as an MMS message. I just got the iphone 3G and can not figure out how to send photos to a phone#. I only see options for sending either an email or a text message (this option is text only & doesn't have an option for adding images). Is my days of sending photos from my phone to another over? Hi I'd love to thank you for such a great quality forum! she is the most beautiful thing [url=http://men.shoes54.com/cat1/Creative-Recreation-for-men.html]Creative Recreation[/url] and im not talking about agricultute.